On 19 November, 2008, Dr. Nikola Holeček, Head of Acoustics Department at Gorenje, Mr. Rok Grudnik, Head of Product Management at Gorenje, were awarded The Best Paper Award by the Institute of Noise Control Engineering. They were awarded the prize for the paper “Reducing the noise emitted from a domestic clothes-drying machine” which was published in the May-June 2006 issue of the Noise Control Engineering Journal (54(3), 137-145). The paper, written by Mr. Holeček, Mr. Grudnik and three professors of the Ljubljana Faculty of Mechanical Engineering Mr. Brane Širok, Mr. Marko Hočevar and Mr. Rudolf Podgornik, was granted Martin Hirschorn IAC Prize for the best paper on new and/or improved cost effective noise control and/or acoustical conditioning products published during 2006 and 2007. The award is given once every two years and it is one of the most important and prestigious awards in the noise engineering. The Institute of Noise Control Engineering of the USA (INCE/USA) is a non-profit professional organization incorporated in Washington, DC. It has 900 members and it is reputed as the key professional organisations for the engineers who work in the field of noise management. The research on the noise level of tumble dryers that was included in the awarded paper was carried out from 2000 to 2005 in the acoustic laboratory of Gorenje and aimed at finding solutions for noise reduction. A basic model and two upgraded models of dryers were made for the acoustic research. 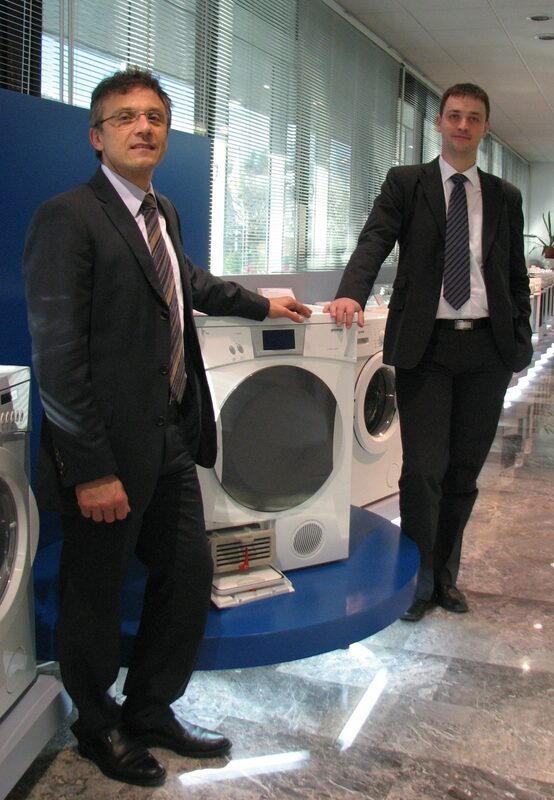 Gorenje experts succeeded in lowering the noise for about 6-7 dBA enabling thus Gorenje tumble dryers to be ranged among the most competitive household appliances.